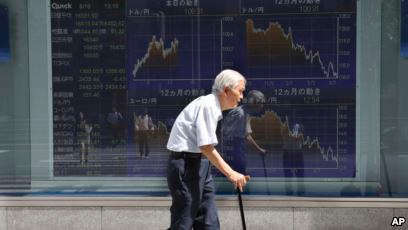 An elderly man walks by an electronic stock board of a securities firm in Tokyo, AugA new study predicts that South Korean women will be the first group in the world to have an average lifespan of more than 90 years. These improvements are also happening in countries where people already live a long time, according to the study's lead researcher, Majid Ezzati of Imperial College London. "I can imagine that there is a limit, but we are still very far from it,'' he said. Ezzati estimated that people would eventually survive on average to at least 110 or 120 years.